Such images reflect what we would like to suggest, nothing more than grossly misled white imaginations—at least within an honest historical and scholarly context. 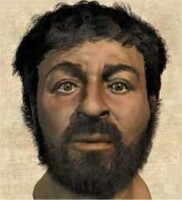 While nobody knows what Jesus actually “looked” like, he was most definitely was not a white guy. After all, everybody has the right to imagine Jesus in any way they wish. True. But such choices are largely removed when people are socialized into religious teachings that assert he was white. Such socialization and teachings use distorted imagery to support their lessons and reinforce their belief systems. While such images as those above may seem relatively harmless, they are actually quite harmful in terms of encouraging and perpetuating a very racist understanding of both religion and history. 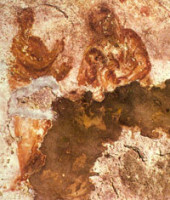 (Image, left, is the oldest known depiction of the Virgin Mary holding baby Jesus in the Cacomb of Priscilla on the Via Salaria in Rome 150 C.E. est; the image, center, is from Syria 235 A.D. est. ; the image, right, from the Catacombs of Rome 3rd Century A.D.). Given that Christians believe Jesus was presented in God’s image, any imagery can be powerful in subtly influencing the followers in gendered and racialized ways. 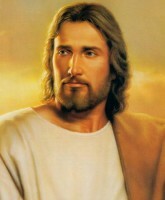 In U.S. society, since white Protestantism is dominant and Jesus is often presented as a white male figure, even if subconsciously, white males may be able to assume they were created in God’s image. Where does this leave Christians of color, at least within the context of the white Christianity’s of the past and present? Of further importance with whiteness and Protestantism is the fundamental disregard for the divine significance of Jesus’ mother, Mary, within the religious context. These gendered and racialized theological modifications reflect significant religious departures from the earlier Christianity. For example, much of the earliest arts included Mary holding baby Jesus. While including Mary, still problematic with the early art as shown above is the racial and ethnic misrepresentation of both Jesus and Mary in an accurate historical context (religious or not). Nevertheless, this shift served to necessarily exclude divine inclusion of all females, regardless of color, resulting in the worship and relevance of only a male figure and male god. This shift served to only further reinforce the gendered “maleness” and masculine perceptions of God leaving females without any significant divine female figures to admire and include in their belief systems for worship. So here, the issues are related to both race and ethnicity, and gender. Many people who are socialized with this imagery from birth do not question the visual accuracy of their deity for a variety of reasons (fears of being sacrilegious, placing all faith in to the church or pastor/leader as providing the true instruction on the infallible word of god, lacking the basic ability to question otherwise as a result of being socialized in a world where all major religious and non-religious institutions are dominated by whites, etc.). The white Jesus then, is too often blindly reinforced and internalized with every encounter of such images, and perhaps even more so when various spiritual rituals are carried out with items that are pictured with the white Jesus, white Mother Mary, white Saints, and so on. Given the historical locations Jesus was said to live are not disputed by most religious groups (whether they believe in Jesus or not) and scholars, how then, did Western society move from a darker Jesus to a very white, and even Americanized Jesus—especially in the U.S.? 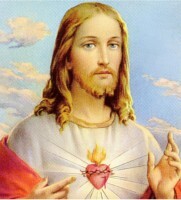 Christianity is somewhat complicated because in some traditions, they hold Jesus as Jewish and within the correct historical and geographical location (though with images that reflect a white guy) while in others, particularly some Protestant groups and non-Protestant groups as with the Church of Jesus Christ and Latter Day Saints, they have removed his Semitic significance in history as a Jew, going so far as to suggest he was Aryan or Anglo. Some of these groups have gone so far as to even suggest that the “real Jews” and even “Native Americans” are Aryan or white American and/or Anglo, coupled with mild to extremely modified narratives or interpretations of the Gospels, or through added writings and books said to be written by later prophets. Here, the divine purity only eludes to a white non-Semitic male figure existing outside the historical context in which the Christian theology was originated from. The problem being addressed here has not to do with the Freedom of Religion, as religious freedom should be a fundamental right for all people. New religions are created all the time with old ones modified. But here the issue is with the racism and sexism that is generated, continuously reproduced, and reinforced through the inaccurate and misleading presentations and beliefs associated with the Semitic Jesus referenced in the Holy Bible. Of concern here is not whether Jesus existed or not, whether he was the Christ and so on, but again, very specifically with the racism, anti-Semitism, and sexism deeply embedded in the religious beliefs and practices. These white theologies and narratives are so powerful and exclusive that it can be impossible for the theological white racial frame to unite with the theological counter-frames of color in existence and reconcile (see clip of Sean Hannity and Dr. Jeremiah Wright). At times when the theological white racial frame collides with theological counter-frames of color; the white theological frame turns theological counter-framed concepts into inherently racist rhetoric reinforcing various types of racism, such as colorblind racism with this example. This serves to reinforce white Christian theology and ultimately white supremacy. Some ways to challenge this type of racism and sexism channeled through white theology we are referring to here, is through education that reflects the works of interdisciplinary scholars who have studied Jesus in History, encourage comparative religious studies to be included in general education courses for all students regardless of race and ethnicity, religion, etc. (this would also help minimize things as anti-Semitism and Islamaphobia, etc. 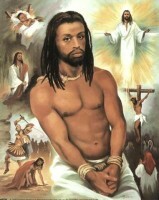 ), make available more diverse images of Jesus—particularly the darker skinned conceptions of Jesus, Mary, etc. 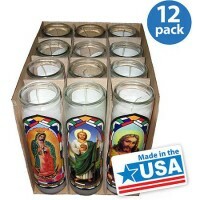 that more accurately reflect the historical and geographical context of Jesus in history—particularly on items purchases for ritualistic purposes, as with prayer candles. Because many people like to display images of Jesus and the related in their homes, automobiles, and so on, alternative imagery also needs to be made available.